. . . The most notable addition to the standard feature set is the 6.5″ Visual Boost Screen. Already standard on the new Clubman and Convertible, the F55 and F56 will join the newest MINIs in offering the 6.5″ high resolution screen and MINI Connected free. Enhanced Bluetooth and Audio Streaming are also on tap as standard features across the range. This previously optional equipment allows for streaming, cover art display and full interactivity with music apps. It also includes an integration of full functionality with your device of choice. Based on our experiences with it, this is a hugely welcome addition as a standard feature. It allows you full control of your playlists and cover art. It’s just a shame that MINI couldn’t have made it free earlier. The other big addition is the center armrest which, now also standard across the MINI range. The arm rest comes with two storage compartments and is full adjustable. While we at MF have railed MINI’s previous attempts at armrests (and the idea of them in general), we have to begrudgingly give our support for this one. It’s well designed with plenty of storage (and importantly) gets out your way when needed. . . .
. . . For the Cooper model this starts with the driving modes which is now part of the sport package. This means that you’ll need to opt for the Sport package in order to select Sport, Normal and Green modes. 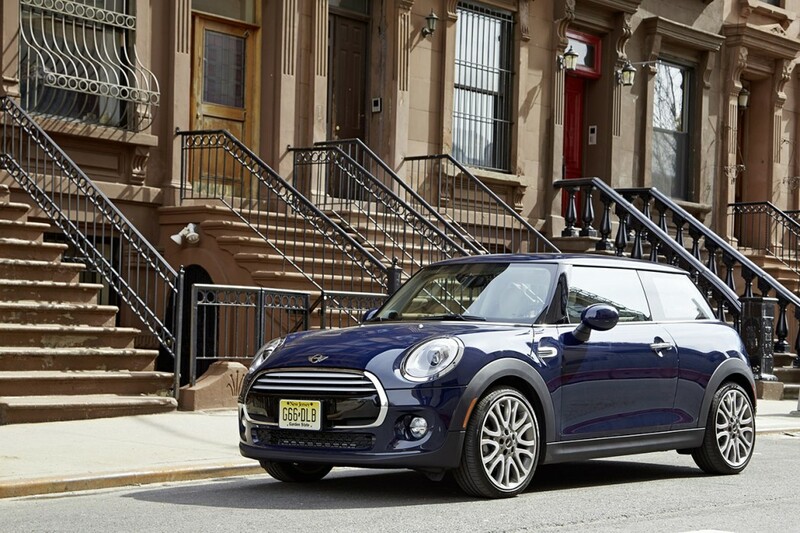 Across all models MINI has moved the “MINI Excitement Lighting” (that name…) to the premium package. This includes headlight and door handle welcome lightning as well as the multicolor lightning for the center console and footwells. . . .